The Muara Karang area in North Jakarta is one of Jakarta’s best kept-secrets, especially for food enthusiasts. Even those who were born in the city consider the area an exciting discovery as along the muddy alleys one can find a plethora of hawker centers and restaurants offering a wide variety of Indonesian and Chinese cuisines. Those wanting to learn more about Muara Karang may have a look at the list below. Muara Karang is not public-transportation-friendly. Those wanting to explore the area are recommended to take private vehicles, taxis or ride-hailing services such as Go-Jek and Grab. Muara Karang is known for its hawker centers. Therefore, T-shirts, shorts and slippers are acceptable while dining in the area. 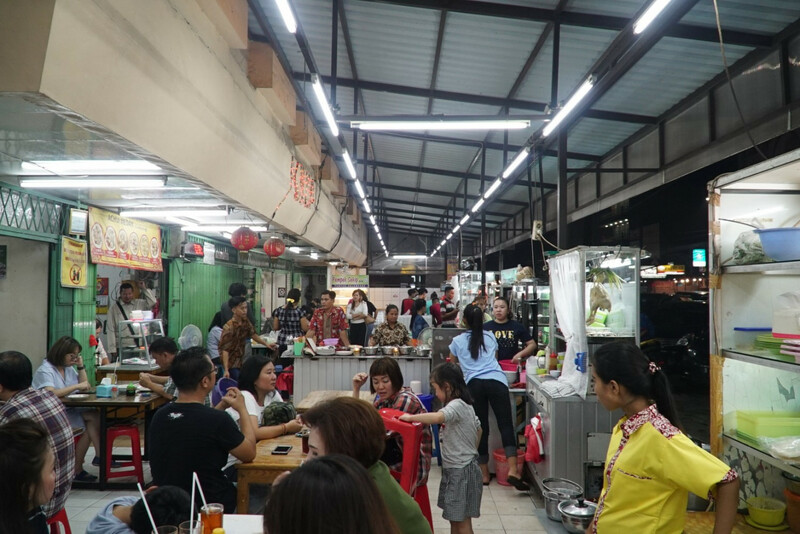 Again, as it is known for its hawker centers, dining is the most recommended activity to do while visiting the area, but we are to discuss this more in the next section. In addition to hawker centers, Muara Karang is actually the go-to place for those looking for bridal or evening gowns. WuSisters L’Atelier by Vero Wu is among the recommended places to look for gowns. Here, you can find pre-wedding and wedding gown packages, as well as party dresses. Moreover, Muara Karang is also a home to Livingseas, a dive center. Located on Jl. Pluit Karang Utara, Livingseas is a one-stop dive center that offers various services, including diving courses, trips to Pulau Seribu and a retail shop. Muara Karang is actually a residential area and most of the residents are Indonesians of Chinese descent. Here, visitors can spot a shop offering Chinese ornaments called Bintang Jaya. Located on Jl. Muara Karang Raya No. 125, Bintang Jaya sells Buddhist prayer items, including statues, home altar cabinets, candles and more. However, prior to Chinese New Year, the shop also carries other Chinese ornaments intended for ancestor worship. Hawker centers are among the icons of Muara Karang. Similar to hawker centers in Singapore or Malaysia, the open-air complexes house many independent food stalls, offering a wide variety of dishes. In Muara Karang, you can find kwetiau (flat rice noodles), nasi campur (rice served with various pork side dishes), sate Padang (Padang-style spicy satay) and bakso (meatballs), all under one roof. A hawker center on Jl. Muara Karang Raya is one of the best places to start your food adventure. Here, you can sample various dishes while watching the cooks preparing them right in front of you. Outside the hawker centers, Muara Karang is also recognized as the ideal place to try food from Medan, North Sumatra. One of the most popular places is Laksa Medan Yoserizal. Located on Jl. Pluit Karang Utara, the restaurant serves an authentic fish laksa, kari ayam (Medan-style chicken curry served with rice noodles or rice) and a popular juice from North Sumatra, markisa (passion fruit). Farther down Jl. Pluit Karang Utara, visitors can find a 24-hour dim sum restaurant called Wing Heng. The restaurant is known for its tasty dim sum selections and affordable prices. 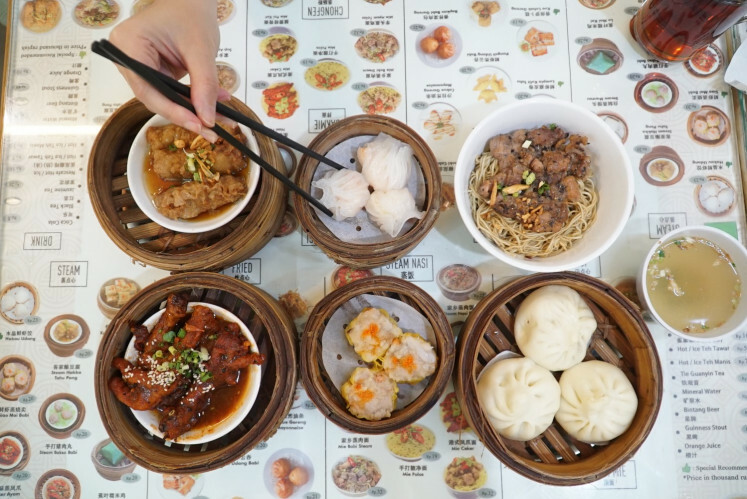 For an average price of Rp 20,000 (US$1.41) per portion, the menu includes siew mai (Chinese dumpling), hakkau (Chinese shrimp dumpling), baked char siu pao (baked pork filling bun) and salted egg buns. The tastes are comparable to other dim sum restaurants in Jakarta, while the sizes are bigger than the frozen dim sum we frequently see in supermarkets. 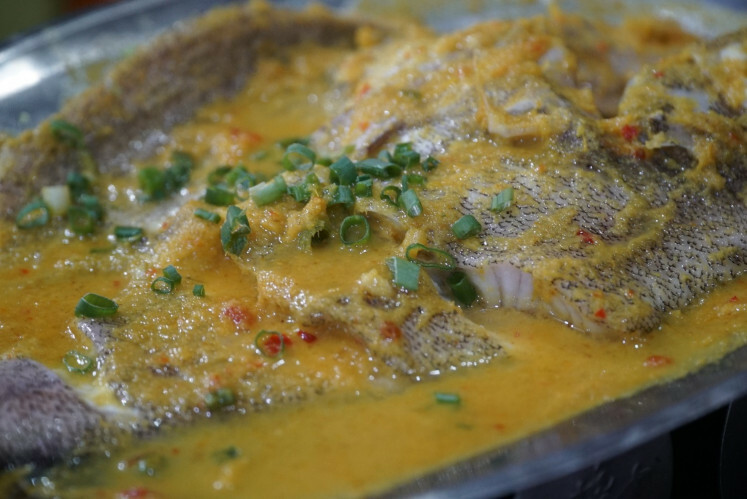 Those wanting to eat seafood may drop by Aroma Sop Seafood. Hidden inside shop lots in Muara Karang, visitors would see long queues in front of the restaurant during dinner time, a testament to its popularity. Open from 4 p.m. to 10 p.m., some of the signature dishes include ikan bumbu nyonya (fish cooked in soured gravy), boiled shrimp, cumi bakar rica (grilled squid with spicy sauce) and more. Moreover, the prices are considerably low as a meal for three people of the items mentioned above only costs about Rp 300,000. Those who love spicy food may want to try Mala House. Specializing in Sichuan cuisine, the restaurant offers dishes cooked in mala sauce, a spicy and numbing Chinese sauce made of Sichuanese pepper. After exploring all the restaurants and hawker centers, do not forget to drop by to one of the durian sellers on Jl. Muara Karang Raya for dessert. - During the rainy season, expect to see muddy roads everywhere. - Since many eateries serve pork-based dishes, Muslims should check the menus prior to ordering.